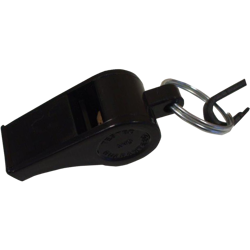 Why Use Pendle To Buy Your Referee Equipment? What is a game of football without a referee? Just like they need to make the right choices on the pitch, referees need to pick the right equipment for their job. With prices that are arguably the most competitive in the market place and with Pendle’s outstanding reputation for quality, delivery and service, you could be excused not to want to shop somewhere else for all your kit requirements. 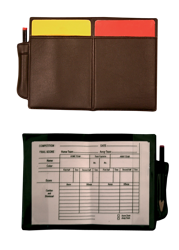 A good referee’s focus needs to be on the game, so let us take the hassle out of finding everything you need. 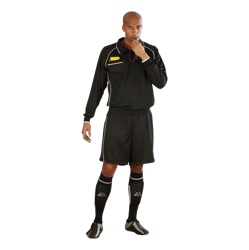 Our range of gear certainly isn’t deserving of any penalties as it offers offers all the basic requirements, including Whistles, linesman Sticks/Flags, Cards with a Notepad and Pencil and a full referee kit comprising of shirt, shorts and socks. We have a full kit that will keep you looking smart and keep you comfortable for the whole match. Don’t forget to pick up your whistle and cards so you can keep control and penalise any rule-breakers. Check out our products today. 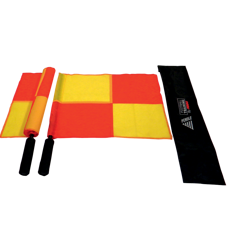 All referee equipment is despatched the same day if ordered before 2pm and sent on either a Royal Mail 1st class or Parcelforce 24 hour service.